Back in May AMD mentioned the Ryzen low power CPUs, which means powerful processors with up to 45W TDP. Right after the U-series and the H-series branding, AMD is going to release the E-series. These processors should be designed for OEM use only. This upcoming processor has been uncovered on the 3DMARK database by TUM APISAK, who has uncovered similar benchmark leaks in the past. 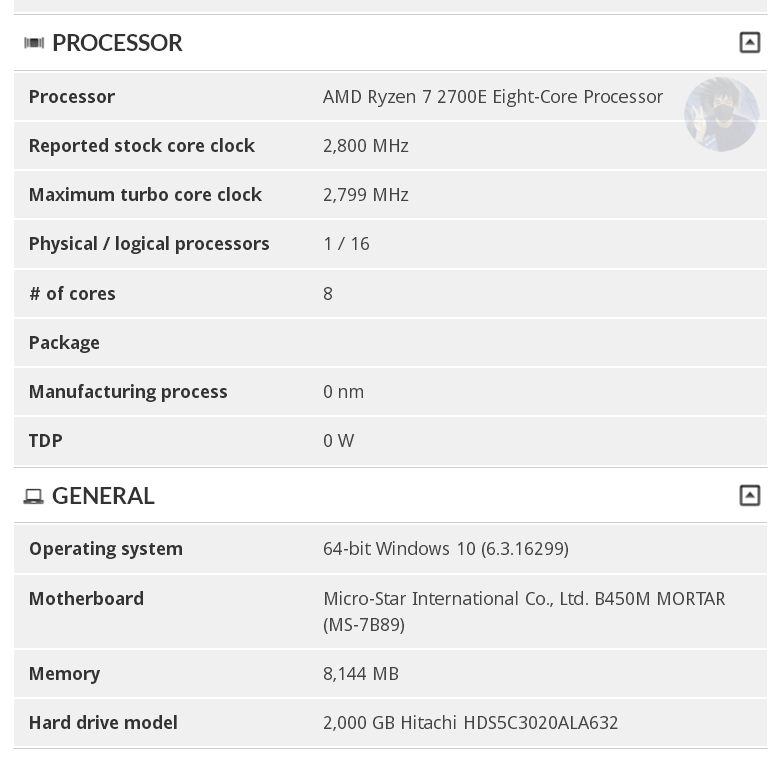 AMD's Ryzen 7 2700E has been listed previously in ASRock's latest AM4 BIOS updates, however AMD hasn't released any E-series yet. It's possible that this CPU will be available for OEM makers only, allowing them to fit up to eight cores into small PCs. The 3DMark database shows us a few more details about the upcoming chip. The engineering sample spotted on the database features eight cores with sixteen threads, clocking at 2.80GHz base clock. At the moment there isn't any information regarding the boost clock frequency. While the base clock matches to the information published on the ASRock page, there is no information about the boost clock.